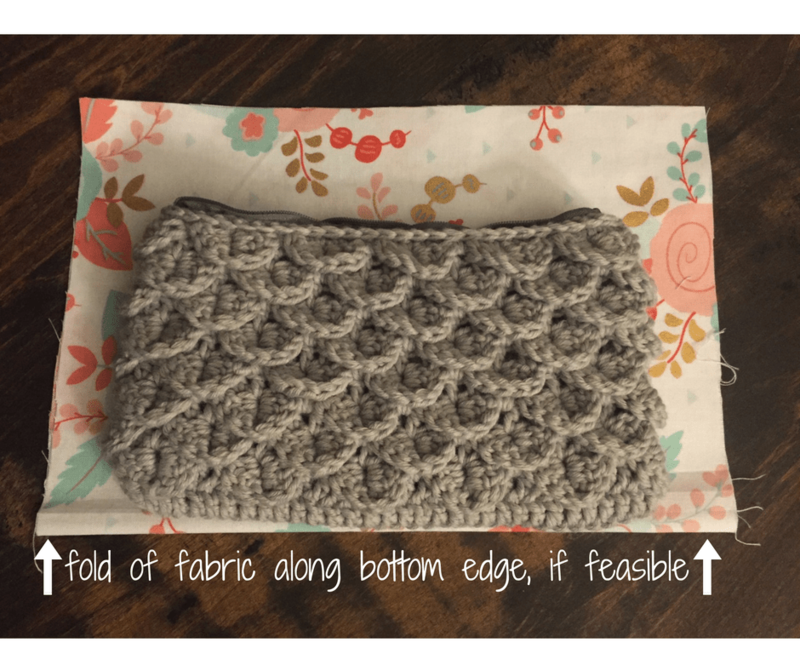 Purse linings: whether you are adding a lining to a newly crocheted bag or replacing a ripped lining from an old favorite purse, you’ll need to know the basics. 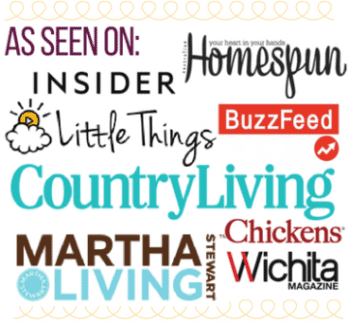 And we’ve got you covered! First, you’ll want to select the fabric for your bag. I took my bag with me to the fabric store, so that I could look at the would-be lining next to the bag itself to determine how pretty it will be. Can’t have a funky new lining, now can we? If you aren’t familiar with ordering and cutting fabric, the store associate will be able to help you to determine what fabrics would be ideal, and how much of it you’ll need as well. I prefer (especially when hand sewing a lining) to use one solid piece when possible (instead of two pieces sewn together). This way, there is no seam at the bottom of the purse, where dirt and other unmentionables can get encrusted and disgusting. It is inevitable that when I clean out my purse, I’ll find a Mentos or two, a stale french fry and if I’m really lucky I’ll hit the jackpot with a Hot Wheels car. Ahhh, livin’ the boy mom life. 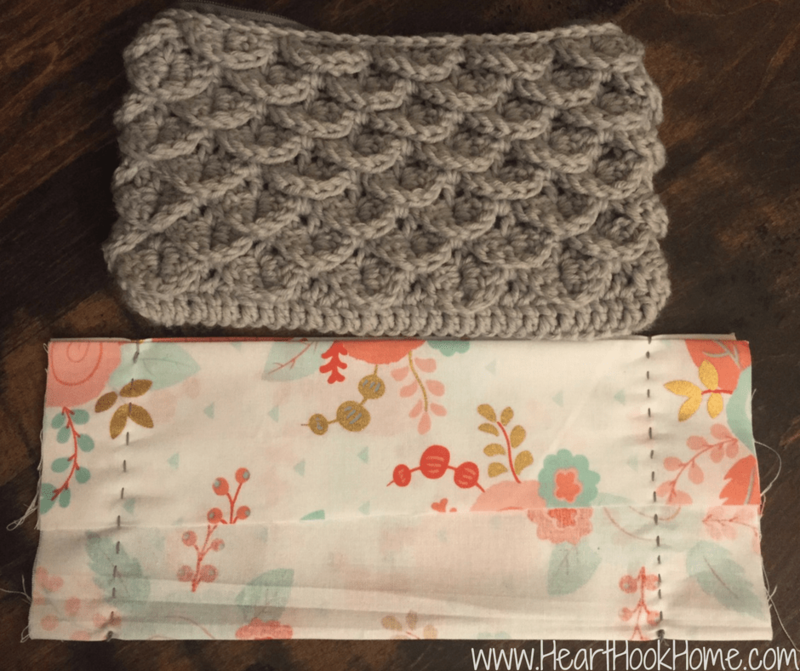 Once you figure out which fabric you’ll use, and how much of it you’ll need, have them cut it for you (and use a coupon if you can! At most fabric stores, one cut of fabric qualifies as one item and you CAN use a coupon on top!) and take home your soon-to-be beautiful lining. First, lay your bag out as flat as possible on a piece of paper. Trace around the bag to get the shape you’ll need for your lining. Place your fabric RIGHT SIDES TOGETHER on your work place. 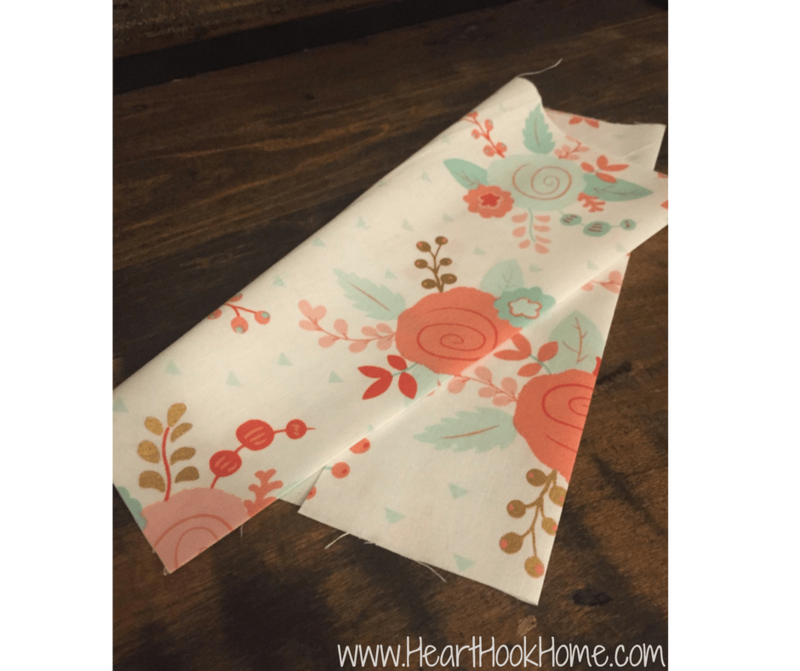 Next, lay your outline on the fabric, and if possible position what will be the bottom of the bag at a fold in the fabric. This not only allows for that cleaner inside bottom edge but it also requires less sewing, which requires less time. #winning Trace around your outline, making your cut line slightly larger than the outline itself (about ½ inch), to allow for the seams. 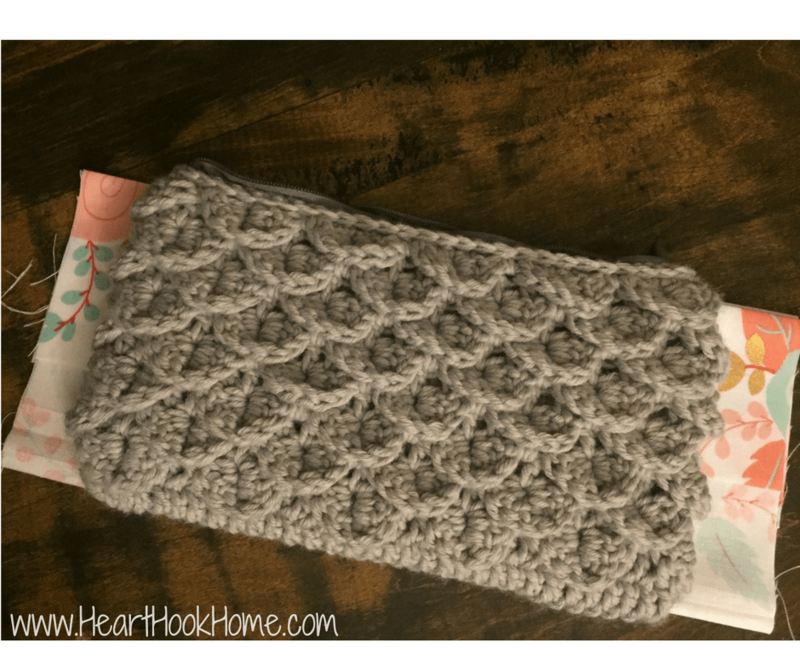 Cut out your fabric and heat up your iron. 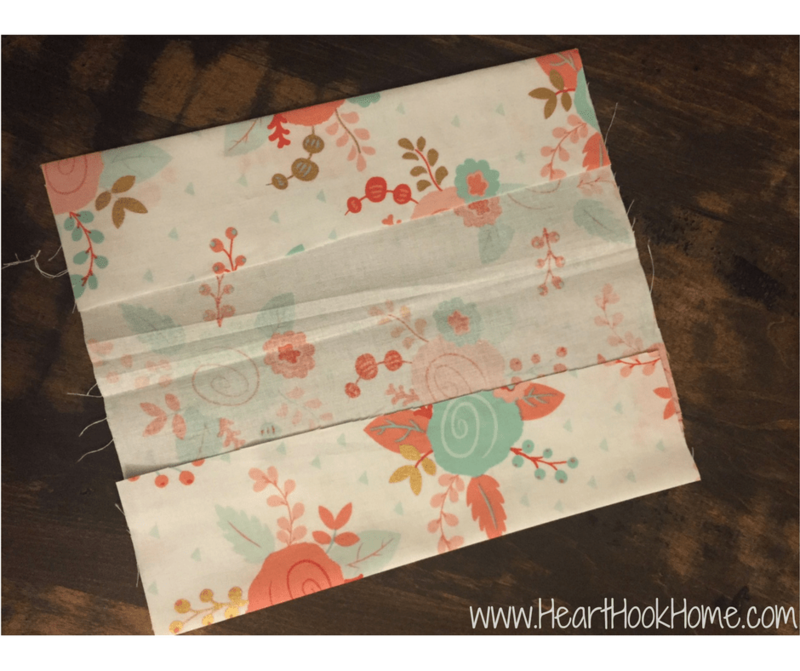 Next, you’ll fold back the top two edges, so that you have a nice clean edge that you will use to sew. Iron them flat so they stay pretty. 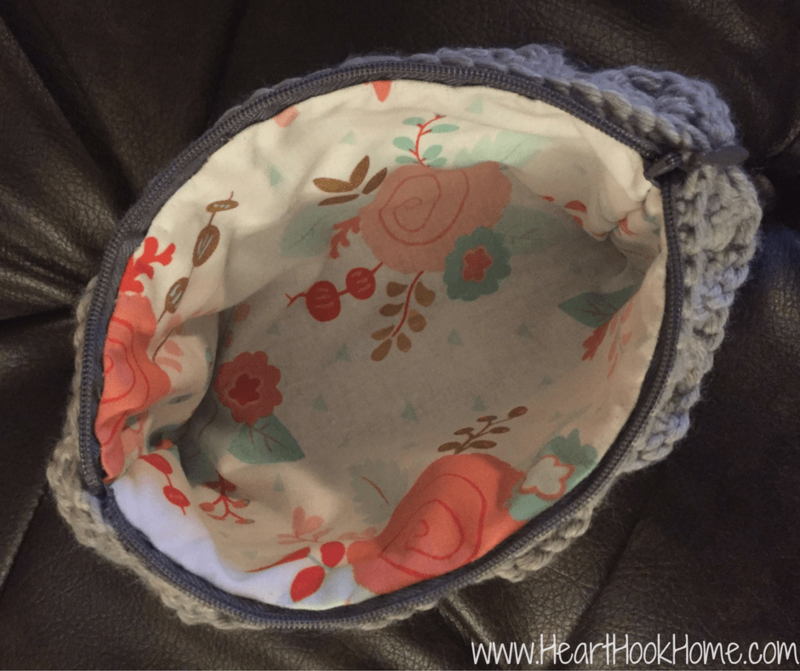 Next you’ll want to sew up the two sides of the lining. Make sure the RIGHT sides of the fabric are touching, start at what will become the bottom corner, sewing up to the top in as straight a line as possible. Make a knot or two and clip your thread. 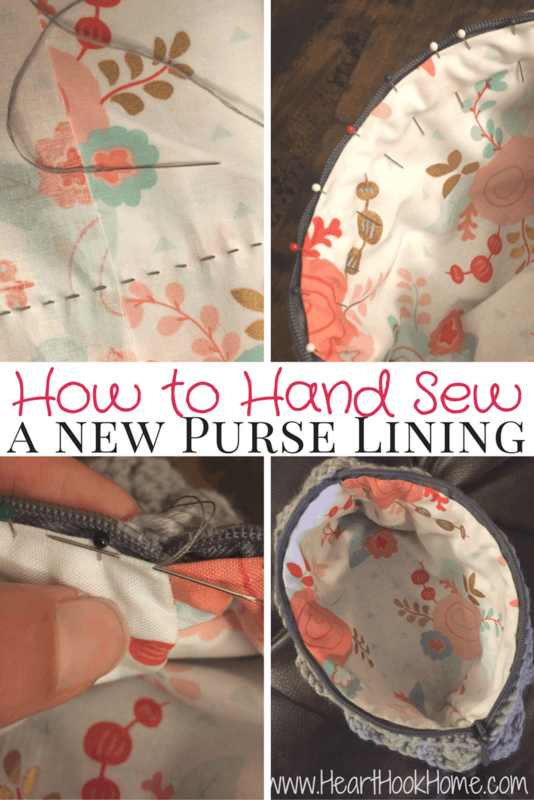 Test your handiwork: placement, size and height of lining by placing the lining in your bag. 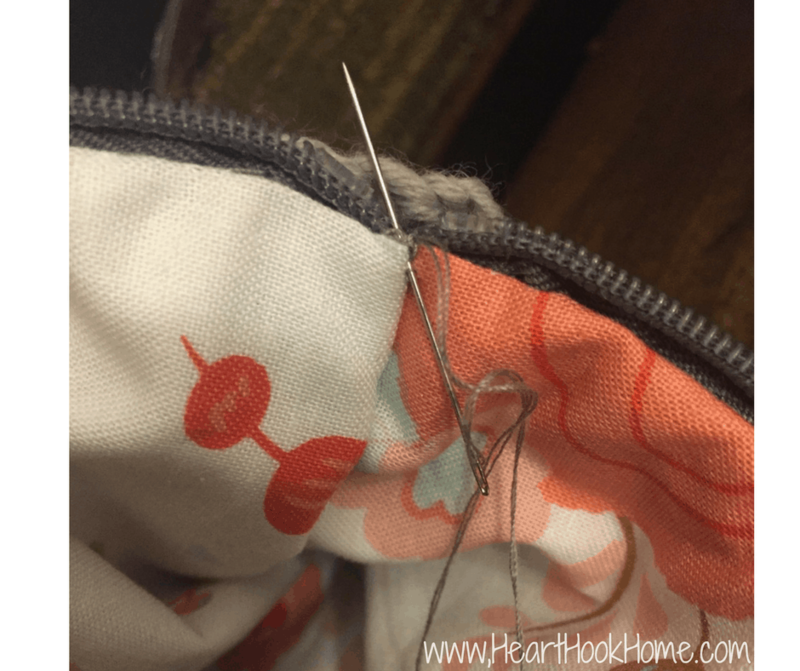 If the lining is still a bit too large, you can always sew a new seam just inside (one or both) of your first seam to make it smaller yet. Test again to make sure it is the perfect size. Trim the excess fabric if/as necessary from the sides. I trimmed another half inch off of mine on each side to remove some of the bulk. If the lining is a bit too tall/deep, you could fold back the top edge again and re-iron. Once you get the lining sewn to the correct size, you’ll insert the fabric into the bag and pin it into place. Note! 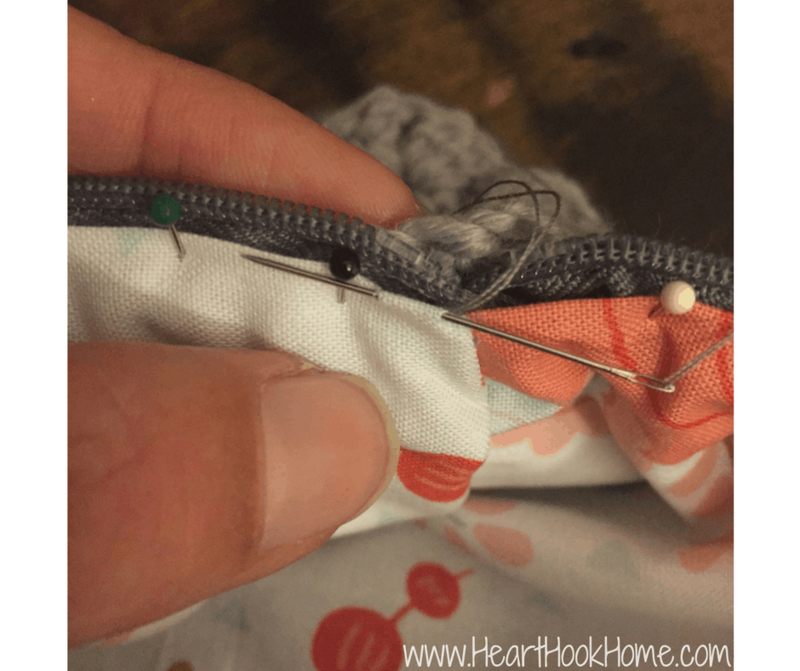 Try not to pucker the fabric/outside of the bag while you pin. If you notice puckering, simply remove the pins and repeat the process, being sure not to pull or stretch it as you go. I find that it helps to start pinning at each corner, then at the center, then working in even intervals until you’ve pinned the entire bag. Once pinned, you are ready to sew! Starting at one corner, Stick your sewing needle in an inconspicuous place, so that the knot will not show. 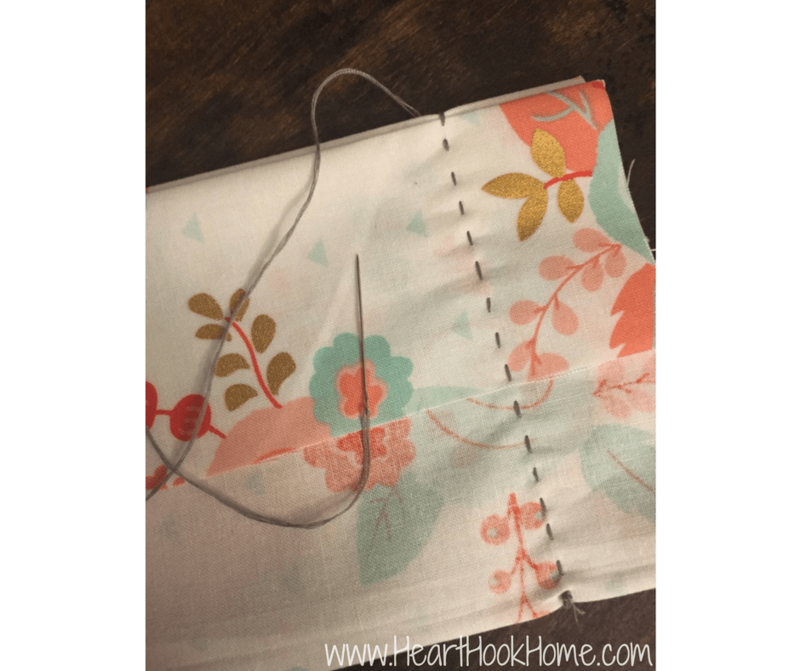 Start sewing along the nice ironed edge and the bag, alternating sides as you go. Sew into the fabric along the ironed edge, sew into the bag, sew into the fabric along the ironed edge, sew into the bag etc. Complete all the way around, removing the pins as you go. When you get to where you began, simply secure the thread with a knot or two and clip your thread. Voila! You now have a gorgeous NEW lining for that beautiful bag! 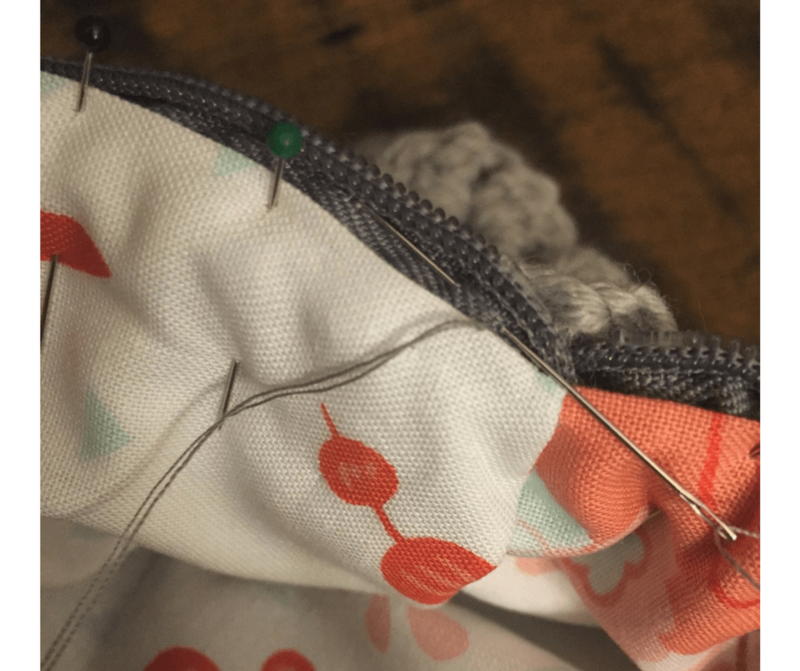 If you’re planning to hand sew both a lining AND a zipper, you’ll want to sew the zipper in first. 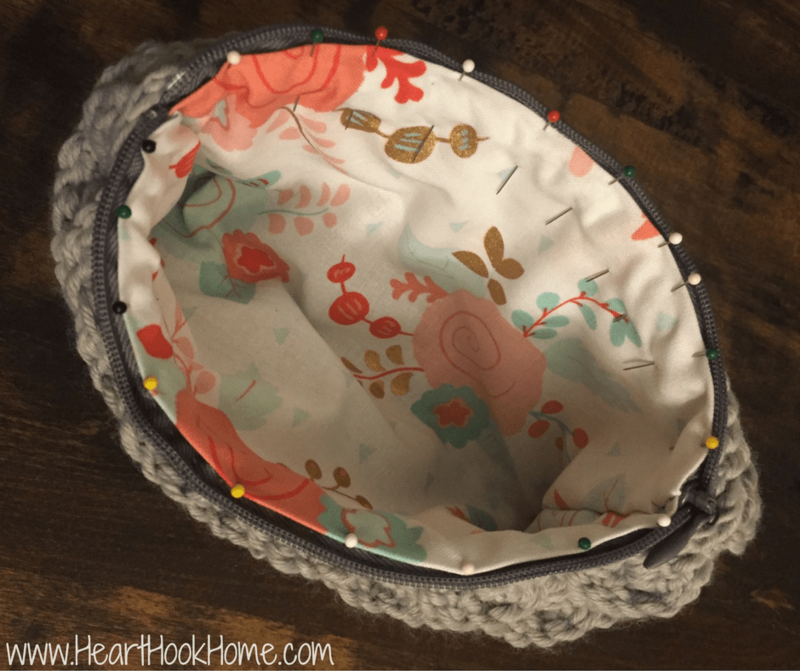 Wanting a tutorial on adding a zipper as well? Oh yes you do. 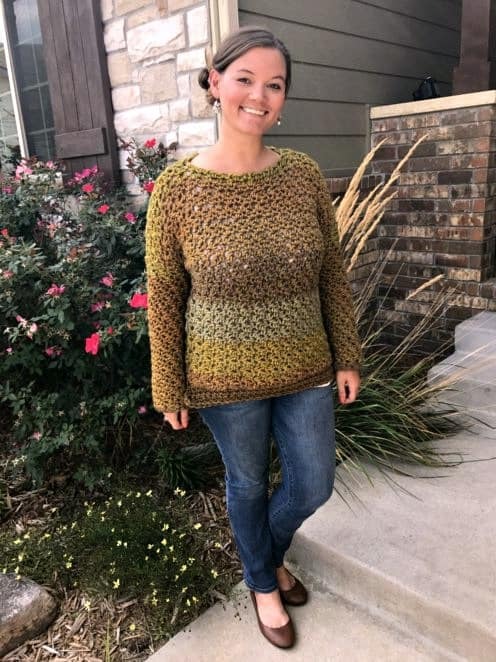 See the tutorial for adding a zipper before you go. Excellent tutorials Ashlea....thank you for taking the time to make them!